Joseph Gordon-Levitt can currently be seen doing his high-wire act in the biographical drama The Walk, and he recently wrapped the political thriller Snowden, in which he stars as NSA whistleblower Edward Snowden (who’s on Twitter these days). 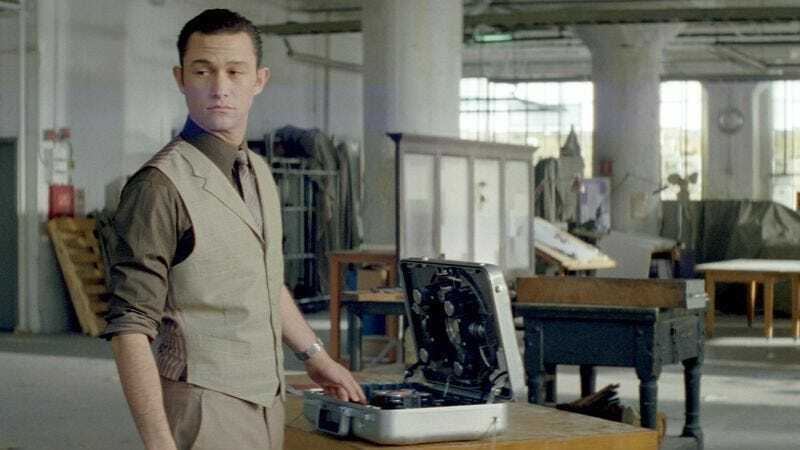 Now Deadline reports that Gordon-Levitt has signed on to In Sight, a psychological thriller that could take him back to his Inception days. There was reportedly a bidding war for the project that Universal Pictures won by laying down a “high-six figure[s]” offer. So what could have prompted such a competitive situation over a non-superhero movie in Hollywood? Maybe it was the involvement of Katie Lovejoy, who topped the 2010 Black List, and is producing/writing the upcoming NBC series Miranda’s Rights. Lovejoy has also been entrusted with course-correcting YA property The Selection in an upcoming film adaptation, and we can all guess how psychologically thrilling any Hunger Games knockoff can be. The film will be executive-produced by Craig Zadan and Neil Meron, who previously worked on the film adaptations of Chicago and Hairspray that were released last decade. Zadan and Meron also produced 1991’s If Looks Could Kill, a mistaken-identity romp that featured Richard “Booker” Grieco as a high-school-slacker-turned-CIA-agent thanks to a seating mix-up on an airplane. The plot of In Sight is currently unknown, so maybe Zadan and Meron can find a way to update their Grieco classic for a post-TSA world.